Snohomish auto repair and Monroe auto repair services are proudly offered through Snohomish Transmission and Exhaust. Each transmission technician at our shop is highly qualified and ready to deliver their expert automotive transmission repair technician knowledge & skills for your every automatic transmission repair need. 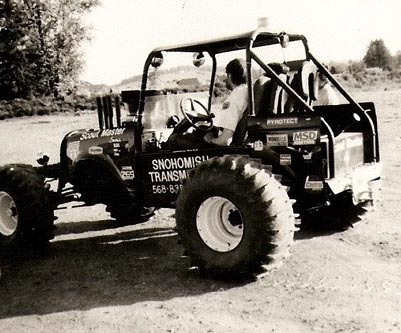 Snohomish Transmission, founded in 1983 by Rick Pratt, is the oldest transmission shop in the Snohomish Valley. We repair a wide variety of vehicles, from the classics to the computer controlled. We offer a complete range of under-car services from complete power train repairs, exhaust, to replacing u-joints, wheel bearings and clutches, and rebuilding transmissions transfer cases and differentials. We are a both ASE and ATRA certified, and our team has decades of combined 'hands on' experience. Our mission is to be the kind of shop you would send your mother to. We provide honest, dependable, quality repairs, and put your satisfaction first. We also sell parts and how-to manuals for the do-it-your-selfer. Snohomish Transmission & Exhaust specializes in all areas of automatic transmission repair, transmission service, diagnosis of transmission problems, as well as standard transmissions and clutches. We take pride in offering quality Snohomish auto repair and Monroe auto repair services. Snohomish Transmission & Exhaust pledges to all of our customers that we will not remove a transmission from a vehicle in order to complete a repair unless absolutely necessary. Additionally our shop promises to diagnose transmission problems for all of our local and surrounding area customers in an honest and expert manner. Our shop strives to provide prompt and courteous service to all who visit our automotive transmission repair facility in the hope that you will come back to us for all of your Snohomish auto repair or Monroe auto repair needs. Contact us today of make an appointment online.